Valeria Yartseva was the winner of last year’s Society for Developmental Biology (SDB) meeting poster competition. Her prize was to attend the spring meeting of the British Society for Developmental Biology (BSDB), held jointly with the British Society for Cell Biology at the University of Warwick in the UK. 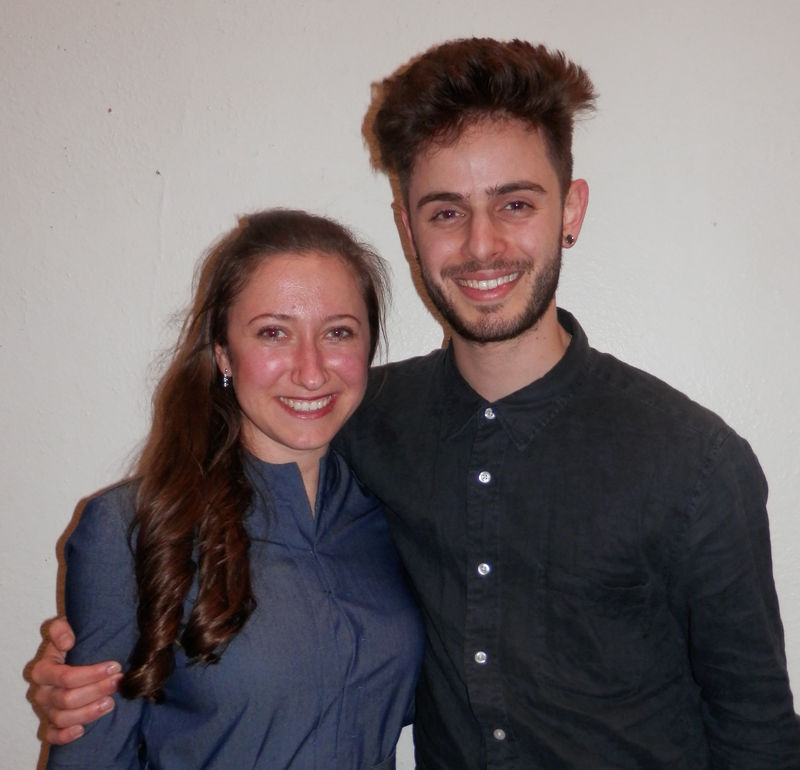 Continuing the interview chain, Valeria interviewed Mathew Tata, who won the poster prize at the meeting. Matthew’s prize will be to attend the SDB meeting in Boston, USA, in the summer. VY: Congratulations on winning the BSDB poster prize Mathew. MT: Thank you very much! VY: Can you tell us a little about your lab? MT: I work in the lab of Professor Christiana Ruhrberg at the Institute of Ophthalmology, at University College London, in the UK. As a lab we work on the development and disease of blood vessel growth. In particular, I work on the development of the mammalian brain. I want to understand how brain vessels are involved in brain development and how they may contribute extrinsic signals. VY: How long have you been in this lab? MT: Too long! I have overstayed my welcome and have been there for 4 years now. VY: That is actually quite short for the States. That is considered being an over-achiever! MT: Yes, I guess it is quite normal. VY: Could you briefly tell us what your poster is about? My poster is about how the vasculature is important in stemness within the mammalian CNS. The interaction between blood vessels and Vascular Endothelial Growth Factor with stem cells in the adult has been well characterised. However, very little is known about their role in the embryo. I wanted to know whether there was any correlation between the blood vessels and neural development in the embryo, and specifically the effect of blood vessels in embryonic neuroprogenitor cells. I showed that there was a spatiotemporal correlation between embryonic neurogenesis and blood vessel growth. In addition, I discovered that if you take away blood vessel growth in the embryonic hindbrain using mouse mutant models, neuroprogenitor cells rapidly exit the cell cycle and terminally differentiate, and this impairs the growth of that area of the nervous system. We haven’t yet identified the candidate niche molecule, but we have a few ideas. VY: That sounds really fascinating. What is the single experiment that you are most proud of? MT: They have all been equally painful! I would say that the first time I actually observed neuroprogenitor cell processes interacting with vessels was very exciting. Everything I had seen up until then was highly ambiguous, so it was nice to confirm that I was in the right area and was looking at the problem from the right perspective. There is still much to be learnt about it though! VY: Have you won a poster prize at a meeting before? MT: I only won one at my university, but that was a small affair, nothing at this scale. So I am a bit humbled. VY: What is next for you? MT: That is the 10 billion dollar question! I am still very much in love with research and I really enjoy being at the bench. But there are other things that interest me as well, like communication and I especially enjoy teaching. At the moment I am just enjoying pursuing my thesis and trying to get a paper out (as the old story goes). I think I will be looking at postdocs for sure. VY: And will you be attending the SDB meeting later this year? VY: Thank you so much, this has been a pleasure! Keep up the good work and enjoy the SDB!